A refreshing bounce for both the Hang Seng and the Nikkei were most welcome despite the continued low volume. Admittedly, the HSI only saw a small improvement but the Japanese index recovered 1.5%. Financials helped todays bounce with technology managing to hold yesterdays declines. There is still an air of optimism coming from global events (BREXIT, US news and views) that Asian markets are happy to run with but we will hear more tomorrow when we see US non-farm payrolls and an announcement expected from Donald Tusk the European Unions Council President concerning BREXIT. Core Europe whip-sawed most of the day with no real direction visible. Eventually, the markets were found in positive territory just at the close but still appeared to be content reacting to headlines for most of the day. Basic Resources could not help the mood, with yet another small decline but we did see energy help with a healthy bounce after yesterdays sever declines. 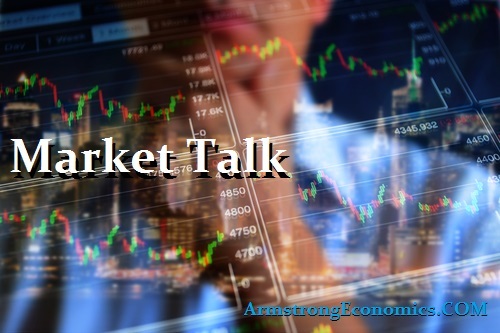 Again, US tax reforms were a major discussion point, but quite frankly there are plenty of topics that could move the markets over the next few days. The calls for a more central Europe appear to be hitting headlines again, which will make the second half of the BREXIT negotiations even more difficult than what were supposed to be the first half debate. US stocks traded well for most of the morning session with the all core performing and with the DOW recording triple digit gains. Interesting to see that it is the Russell 2k and a renewed NASDAQ that are leading values higher today, but tomorrows non-farms will be especially closely watched for a 225k+ print and a continued improvement in the rate. 2’s closed 1.80% (-1bp), 10’s at 2.35% (+1bp), 30’s 2.74% (+1bp), Bunds 0.29% (u/c), France 0.6% (-1bp), Italy 1.66% (-5bp), Greece 4.71% (-3bp), Turkey 11.68% (+2bp), Portugal 1.78% (-7bp), Spain 1.39% (-3bp) and Gilts 1.25% (+2bp).